I am kicking off an entire week of Halloween mason jar crafts today. 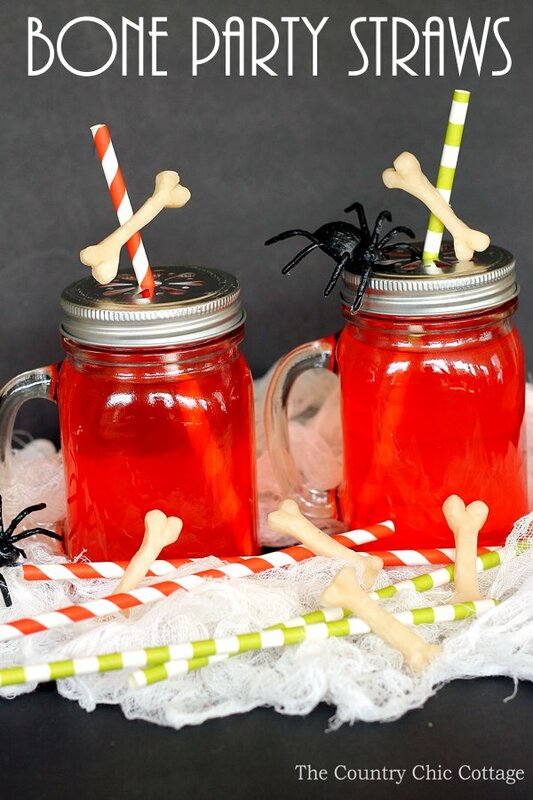 I am going to start with these fun bone party straws. You can also scroll to the bottom of this post for links to my partner blogs for this series. Yep by the end of the week we will have 25 Halloween mason jar crafts! This post was originally published on Crafts Unleashed where I am compensated for being on their design team. Just watch the super short video below on how to make the bones from your clay. So each and so cute and perfect for a party. These go perfectly with punch served in mason jars. A spooky and fun addition to your Halloween party. Now watch me whip up one of these clay bones in just minutes below. Bake your bones on parchment paper according to the package directions. I baked mine for about 15 minutes. Let them cool and they are ready to be glued onto your paper straws. 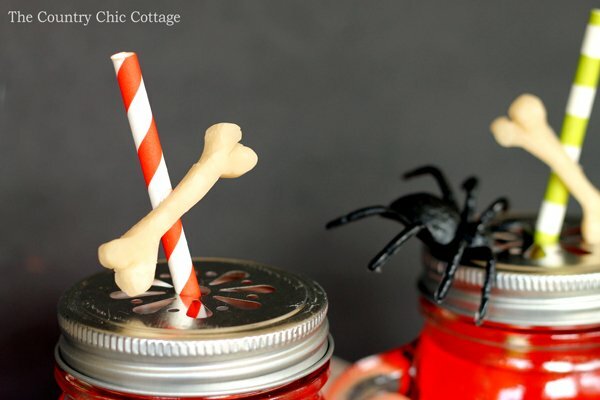 Make several of these bone party straws for the drinks at your Halloween party. Your guests will love this super spooky decor addition! They will never know that it only took you a few minutes to make them either! 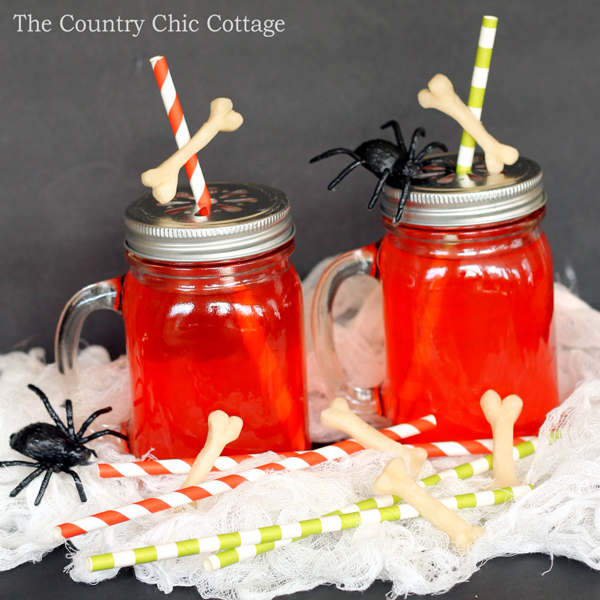 Now for some more great Halloween crafts with jars. Visit the links below to see what my blog partners for this series have in store for you! Super cute Angie! Love this!! !